Ended up being an unexpected nice morning in the forest. The weather was perfect, and the club was pretty well organised without much help on the computers from me (Chris F is learning, and doing a great job). 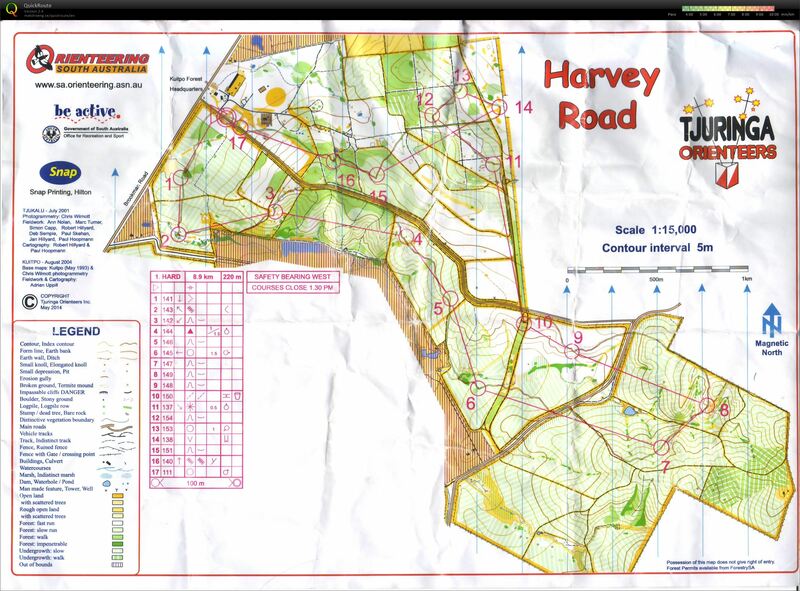 I opted for the long course, as i knew it was going to be pretty simplified orienteering and a fair bit of track running. Des set a reasonably good course for his first effort, but i had to advise him that sending us into that green crap at #16 is ill-advised and probably detracted from my overall impression of the course. He agreed and understood. But i think i under empasised how green and crap it was: Ruhi passed me between 14 and 15 and then lead out of sight into 16 via the dam, where i went head on into the green. I finished my course without seeing Ruhi again. I sat down at the computers to help out with some problems, and 5 minutes later - Ruhi appeared. He got completely trapped in that green crap - I did too, but not to the same degree apparently. I heard similar stories of those who approached 16 from the dam getting even more tangled up than us that tackled it head on. There was controversy over a few control sites, but some of them look to be more inaccurate mapping than inaccruate control placement. So well done Tjuringa!